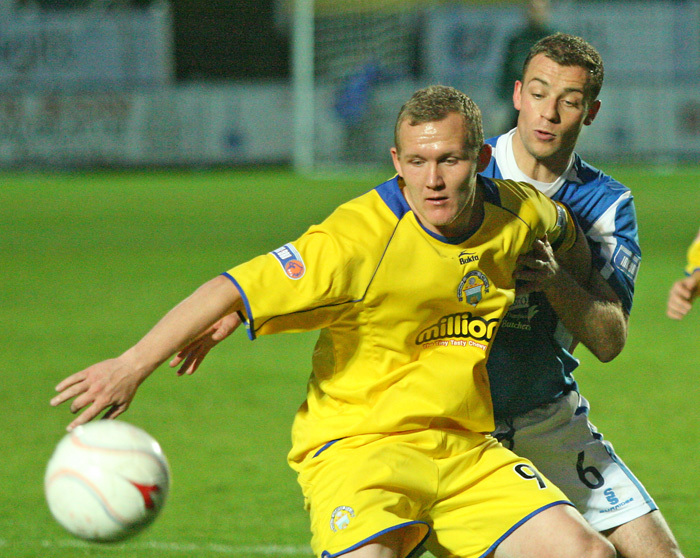 Andy Aitken played for Queen of the South in two spells at a time that marked the resurrection of the club. 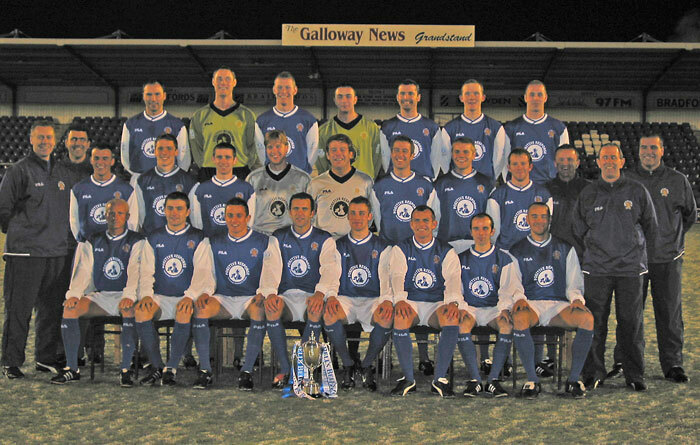 Playing in three of Scotland´s senior cup finals for Queens and picking up a divisional winners medal, he was one of the first two QoS players to have collected four medals from senior Scottish football while at Palmerston. Aitken´s game was marked by being naturally left sided with a useful turn of pace for any six foot plus defender. A local lad, he is a player who unashamedly bursts with pride at his achievements from his 337 games for Queen of the South F.C. Away from Queens he also won a further two divisional titles. In an interview conducted near the end of 2011, this is his story in his own words. The season after and another medal. The semi final. Indeed Queens´ form was much improved following Aitken´s first game on his return on 28th January 2006, as a sub in a 2-0 home win against Airdrie with O´Neill and Burns scoring. Things at Stranraer were very different where after the January departure of Allan Jenkins to Gretna, results immediately collapsed so dramatically that Queens were eventually to finish four points above them. Then came that crazy year in the history of Queen of the South. 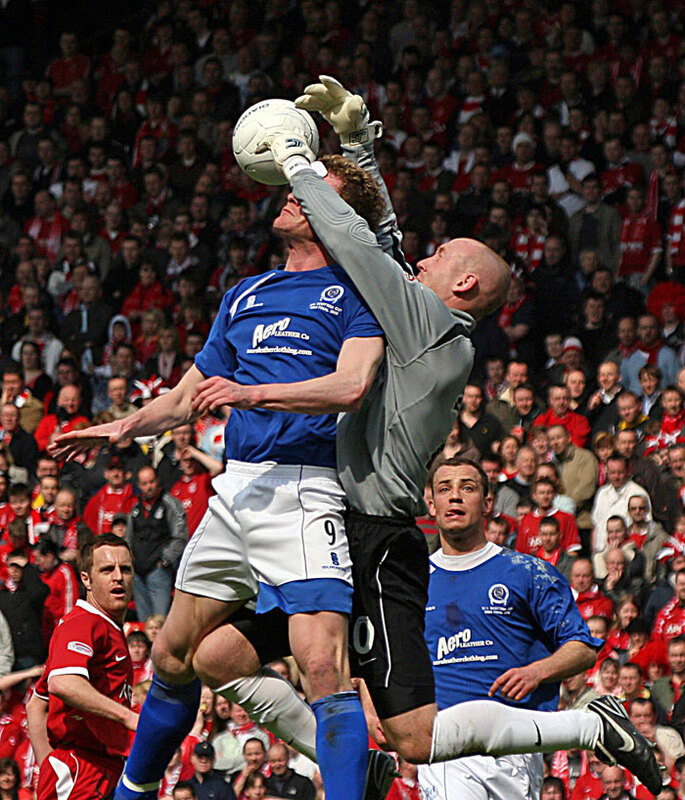 “A pleasing thing about many games through that cup run from the defender’s point of view was the clean sheets. Clean sheets until the semi final. We were really lucky to get Jamie MacDonald. We got him on loan from Hearts, you never really know what you are going to get with a player on loan. Some of them maybe come and are a little bit disheartened that they’ve been sent on loan. Jamie threw himself into the club and done really, really well for us that year. Next was 8th March against Dundee who were missing cup tied Colin McMenamin. In form Queens went into the game on a run of nine games unbeaten with the previous defeat having been against Billy Reid’s runaway leaders Hamilton, the Accies side of McCarthy and McArthur. The Jean-Pierre Papin of Palmerston. As Aitken says, the team were doing the business on the pitch and Chisholm seen no need to try to fix something that wasn´t broken. 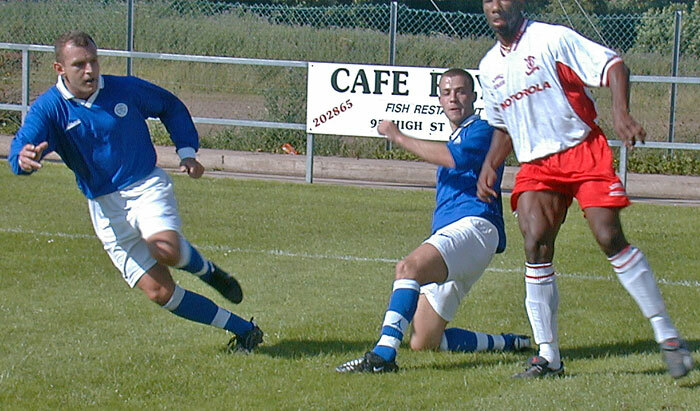 Its worth sparing a moment though for someone who played in the win at Peterhead but was the unluckiest player at Queens throughout all of the 2008 dream. 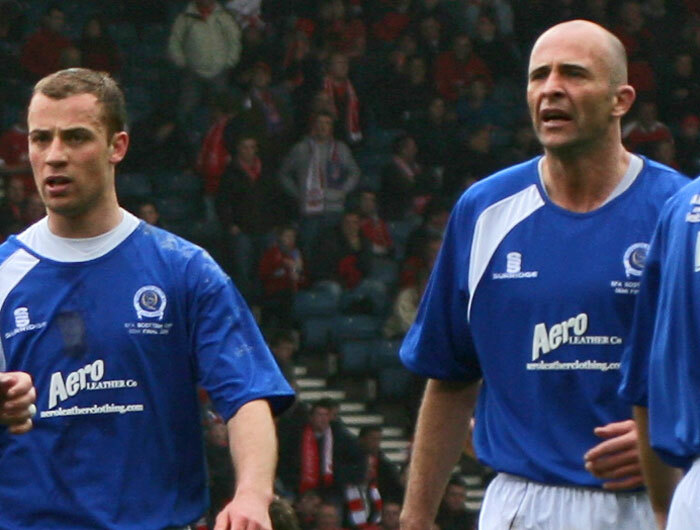 Neil Scally had done well since joining Queens as a no nonsense, dependable, midfield ball winner. 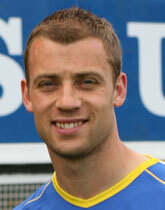 Scally was subbed in the 13th minute in the 2-0 defeat at Dunfermline on 22nd December 2007. Serious injury meant Scally never played first team football again until coming on in the 87th minute in the 2-2 draw at Morton, 3rd January 2009. MacDonald has already been described. The rest of the team. The Aberdeen semi and contribution to the first goal. An opponent from that game, Barry Nicholson. Fair comment by Aitken in recognising the commendable achievement by Rangers in reaching the UEFA Cup Final. However, playing a style of football in Europe described by one Spanish newspaper as, ´Catenaccio escandaloso por el Escocés,´ nor did it mean Queens were without a hope. A potent finish indeed from the penetrating Tosh. In the UEFA Cup Andy Aitken was an unused sub for both games but still able to provide his insight on events. “Then we’ve lost an early goal from a corner and that’s put us on the back foot. After that we got ourselves back in the game when Sean scored from a free kick on the left. Nordsjaelland were a good side. They were a big physical team who could get the ball down and play. They caused us problems that night.” 2-1 win to the Danes. Wait a minute. Let´s just wind that back. Andy Aitken is playting for Ayr against Queens at Palmerston and describes it as a home game. Where the heart is? “I got a fantastic reception from the fans that day [29 Aug 2009], in the first half they were singing a song about me. In the first half I thought we competed really well that day. Then I went up for a header with Derek Holmes and I just felt my ankle go. I was out for probably 8 or 9 weeks after that [next game was 24 Oct]. It was frustrating. I got a good response when I went but obviously the injury curtailed me after that. I’d had a good start there and my form was good going into that game. I probably had something to prove to myself at the start of that season after the poor end to the previous season at Queens. After getting a good level of fitness, for that to happen was disappointing. But I still enjoyed my season at Ayr and I enjoyed playing beside the boys that were there. With the 8 – 9 weeks that I missed after that, then you’re trying to get back into the swing of things and get the level of fitness. In his season at Ayr Aitken scored once against each of Stirling and Inverness. Then full circle. Best player played against on the same pitch. Best player played beside at Queens. “John O’Neil in the time he was scoring goals and Peter Weatherson was great as well. But for me personally its got to be big Jimmy. When I first went to Queens, Jimmy joined in the January. I’d just made my debut but Jimmy took me under his wing. At that point I looked up to Jim and worked really hard, he was great beside at training and he would show me different things. I’ve just so much respect for Jimmy as an individual. And we complimented each other really, really well in our time there together. Aye, for me big Jimmy." 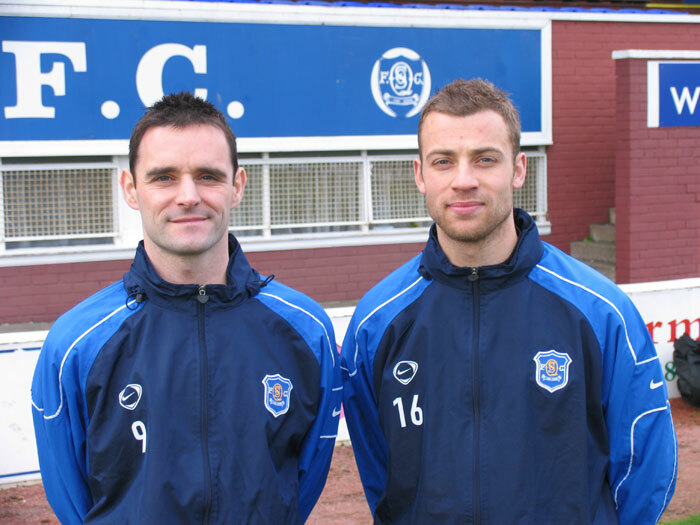 Aitken´s choice is somewhat poetic as it is Thomson who matches Aitken as being the first two players in QoS history to collect four senior medals playing for the club (subsequently matched by Derek Lyle). Aitken´s 337 first team appearances place him 17th in the Queen of the South all time appearances list as at 11 September 2017.